In ancient times, Polynesians sacrificed defeated warriors on his sacred grounds. 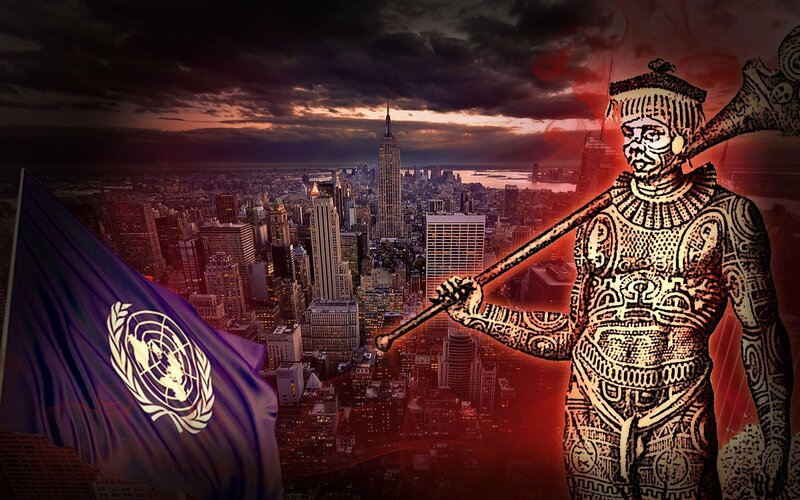 Oro, the mythical god of war has the mana, even nowadays, to conquer the UN… at least the UNESCO committee. Better late than ever, The United Nations will soon have the occasion to fix one of its major oversight in Oceania. The center of ancient Polynesian civilisation, Marae Taputapuatea, dedicated to Oro, is on its way to enter the World heritage list in a few days, the 8th and 9th July. Even if the final decision will be made by the UNESCO committee, it should only be positive, as the site matches all cultural criteria. Marae Taputapuatea is situated on the island of Raiatea, in French Polynesia. It was the political and religious center of antique Polynesian civilisation, centuries ago. In those days, Raiatea was called Hawaiki Nui. Monarchs from all over Polynesia used to gather there on a regular agenda, established on astronomical events, in this roofless archaic temple dedicated to Oro, the Polynesian God of War. Time passed by and this great civilisation of experienced and fearless seafarers lost their political union. Nevertheless, the people of Polynesia never forgot the history of their forefathers, and Taputapuatea remained one of the most sacred antique monument of the region. The archeological site could be half a millenium old, if not more. Its ancient prestige was, in oral Polynesian tradition, linked to the fact that the island of Hawaiki Nui was considered the origin of the “native” colonisation of the Polynesian triangle, we could say, their homeland. Every seafarer departing to discover new lands had to take a rock of the marae in order to construct a new one in the newfound lands. Sort of like a mystical seed coming from the original “tree”. More on The world recognizes Polynesian cultural heritage & it was damn time!